When it comes to the London Bridge area a cheap pint is a wonderful thing. 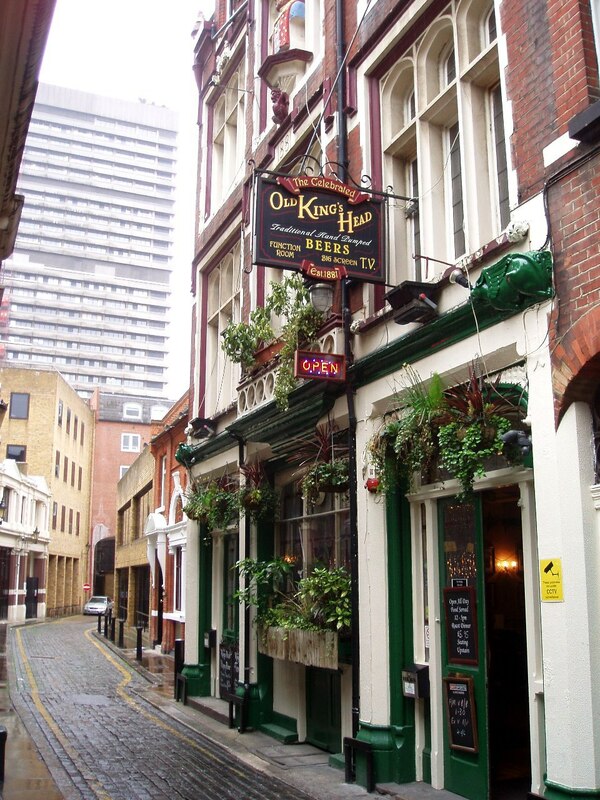 So happy hour at the Old King's Head is just the ticket when looking for a cheeky pint below 3 pounds! With all pints priced at £2.75 and spirits with mixers also at an amazing £2.75 from Monday to Thursday, 4pm to 7pm, you can laugh all the way to the cash point, of which there are many directly outside on Borough High Street. The beer garden is more of an alleyway, but this means you can involve passing trade into your happy hour drinking conversations which keep things interesting and forever changing. On one eventful evening I locked my bike up outside the Old Kings Head ready for a quick pint before cycling on my way, always remembering to drink responsibly. I unfortunately dropped my keys down a drain. The locals and bar staff all helped with useful suggestions and banter. Finally a coat hanger appeared and my keys were retrieved. The traditional pub food is nothing to write home about but I go for a cheap pint and to be safe in the knowledge that I can watch the football without the worry of being distracted by interesting people, good conversation or beautiful surroundings. For the day time/early happy hour drinker, an alternative to the Old King's Head pub food is a 90 second walk to Borough Market one of the oldest food markets in London, which offers a variety of snack and meals on Monday-Thursday 10am to 5pm, Fridays from 10am to 6pm, and Saturdays from 8am to 5pm. The Old King's Head is good traditional pub with local flavour and atmosphere in a beautiful area near the Thames River. Time at the bar please gentlemen!